Google Assistant is a little over a year old now and it has already proven to be one of the best artificial intelligent assistants out there today. In fact, Assistant is now at the heart of almost all Google-owned products and is also being adopted by third-party developers at a rapid pace, so much so that Google CEO Sundar Pichai claimed this week that it is now supported on over a 100 million devices – also indicating the rollout to older versions of Android has been widespread. As AI-related news goes, Google’s DeepMind team also announced this week that it has developed new ways to introduce “imagination-based planning” to AI. Pichai has lauded Google’s efforts in AI and also mentioned how its Assistant has vastly improved in the past one year, claiming an error rate that is now under 5 percent. 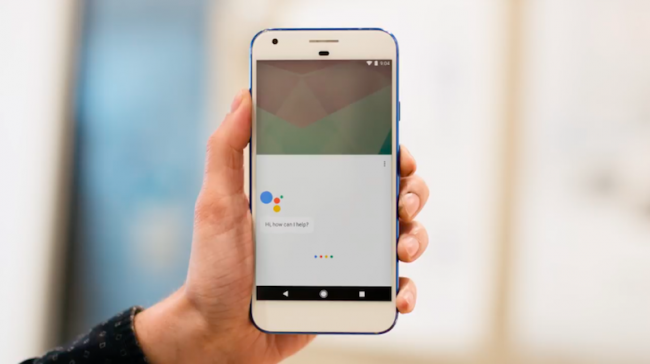 Voice accuracy aside, the reason behind the growing adoption of Google Assistant has mainly been due to the fact that the company in December opened its AI to third-party developers and earlier this year made it available for Android Marshmallow users as well. However, Venture Beats notes that Google had mentioned the “100 million devices” back in May, and the company has not updated on the current numbers despite Assistant now making it to the iPhone. Google’s other AI enterprise is DeepMind, and it has been making great strides in bringing AI closer to humans. One way to do that is by giving AI one of the biggest human characteristics there is: imagination. The team at DeepMind says it has developed ways in which AI can reason possible future outcomes and make decision based on that. It’s something we have already seen with regards to AlphaGo, which recently defeated Ke Jie at the ancient Chinese game of Go. In a blog post, the DeepMind team says it has created “imagination-augmented agents,” or I2As, that have a neural network which learns to extract any information useful for the agent’s future decisions. These agents can learn to interpret their internal simulations, and can learn different strategies to construct plans. They can choose how they want to imagine by trying out different possible actions separately or together. The researchers tested the I2As on the puzzle game Sokoban and a spaceship navigation game that requires planning and reasoning, and found that the I2As performed better than agents without the ability to plan and reason. If that’s not enough, Google’s AI is also working on ways to help make baby food safer. A recent blog post by Kewpie’s Takeshi Ogino notes how the AI in TensorFlow helped Kewpie Corporation ensure food quality, by inspecting ingredients including diced potatoes it uses in baby food. The firm along with partner BrainPad fed around 18,000 photos of food into the machine learning system to recognise food ingredients. This resulted in a new perfect accuracy, managing to recognise more defective ingredients than even a human could. The technology is currently limited to Kewpie’s baby food, but the company hopes to use it with other foods as well.